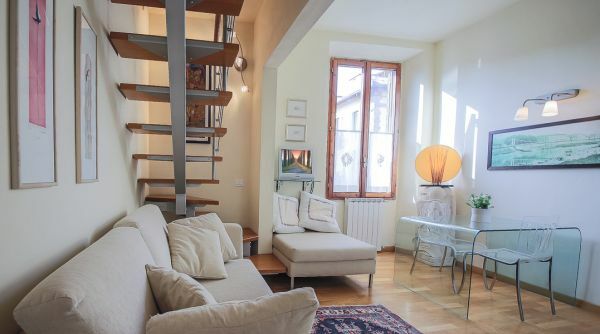 Casa Della Bella apartment for rent in Florence area S.Spirito. 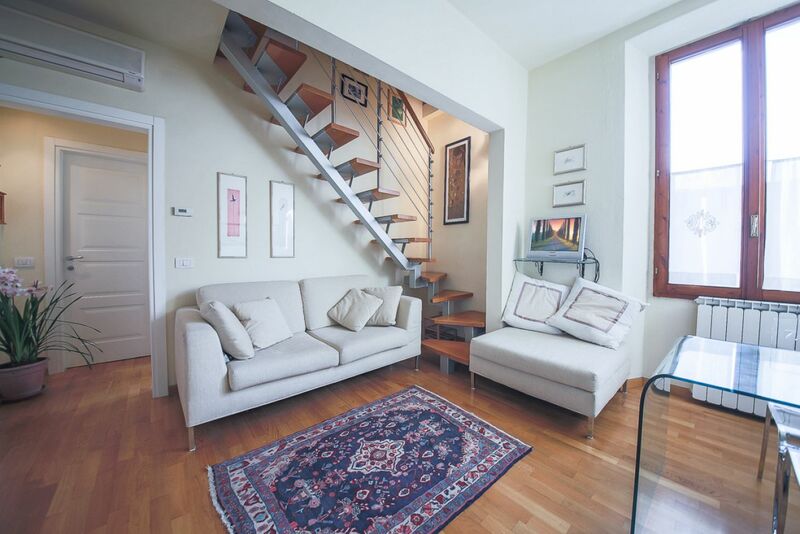 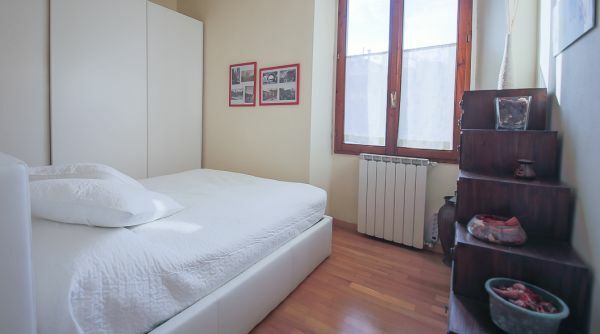 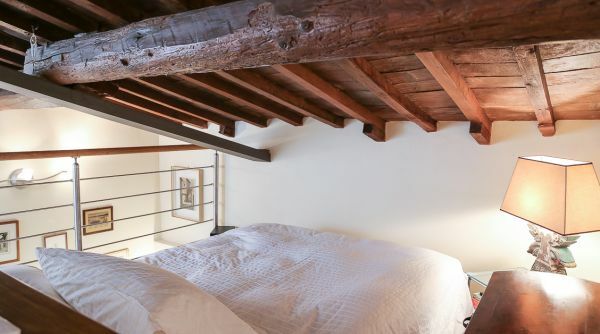 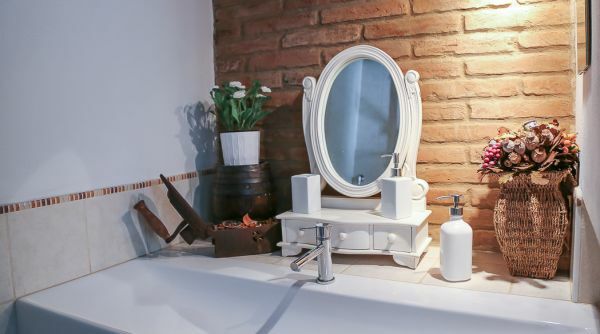 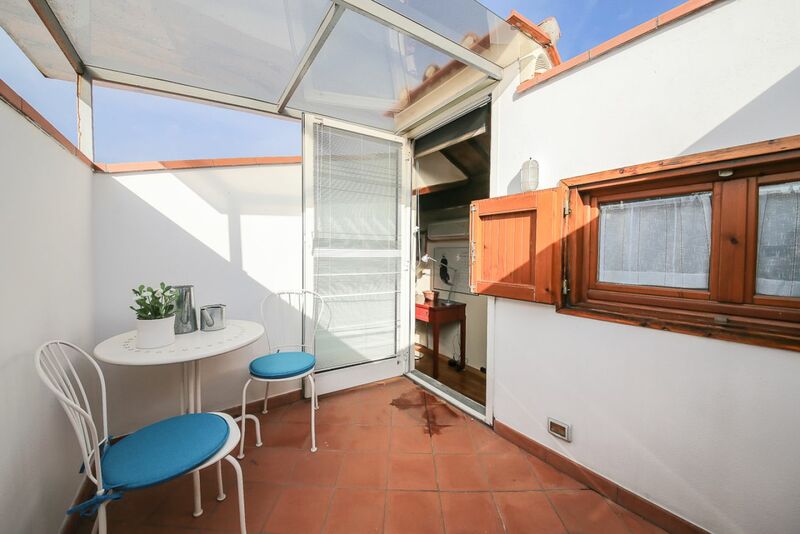 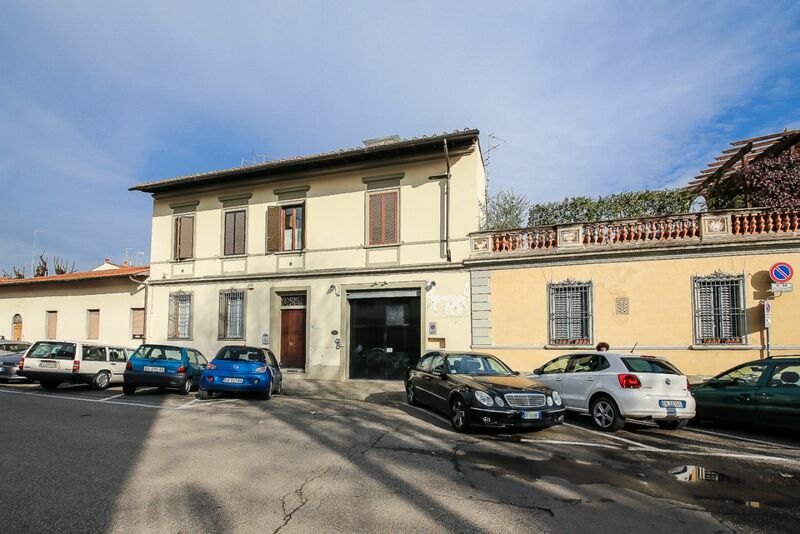 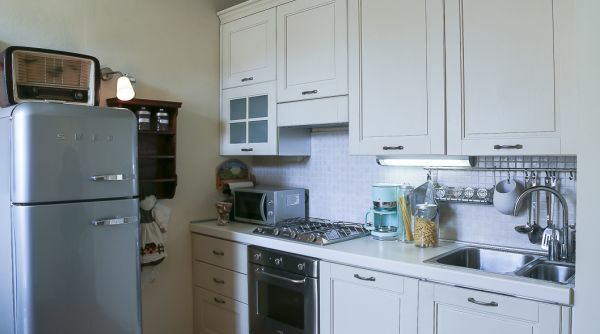 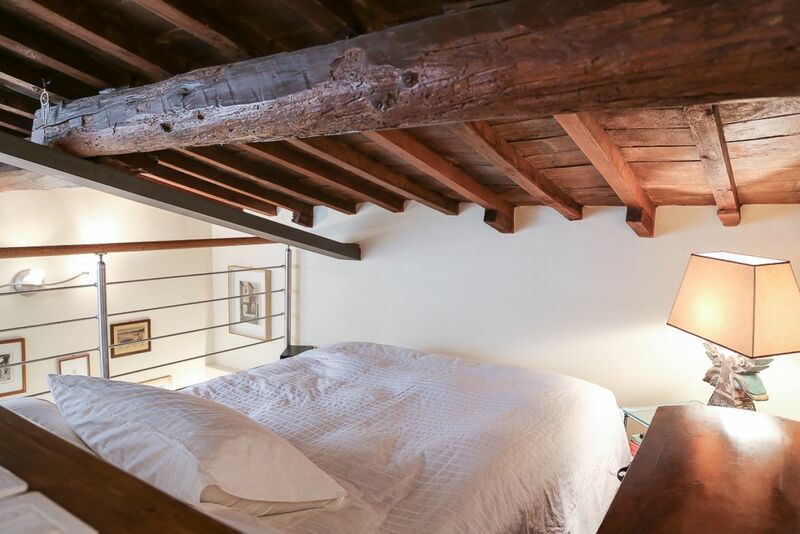 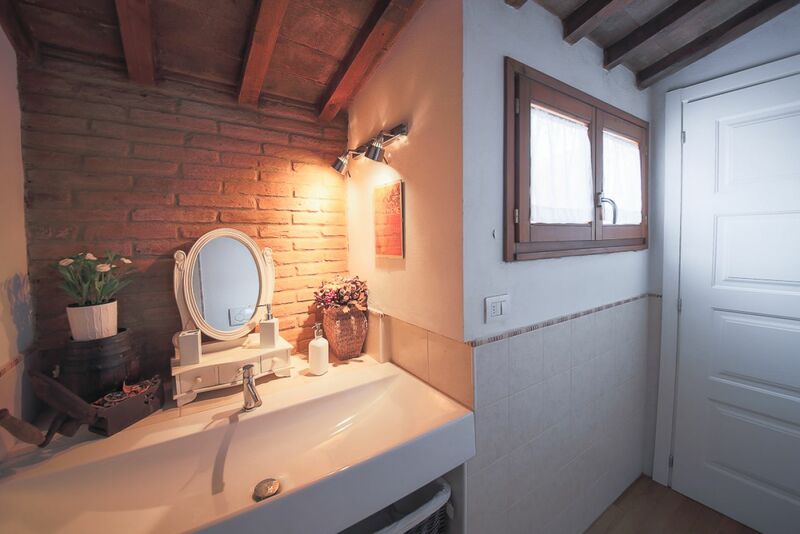 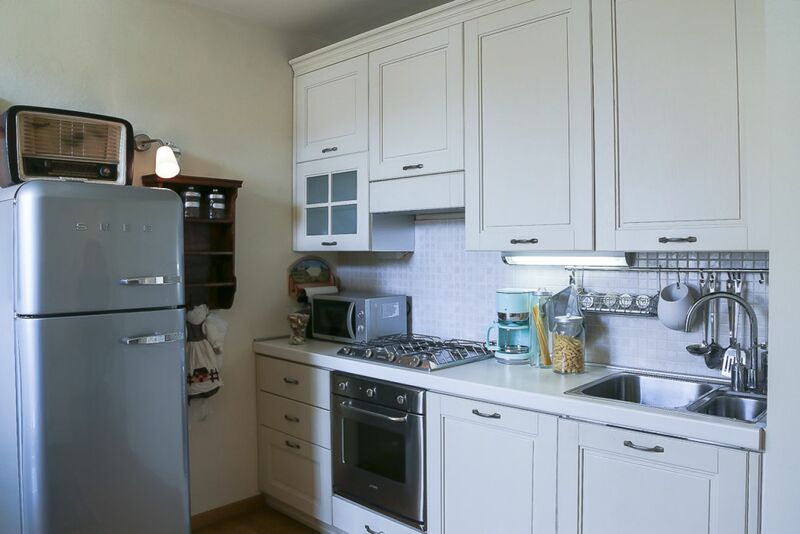 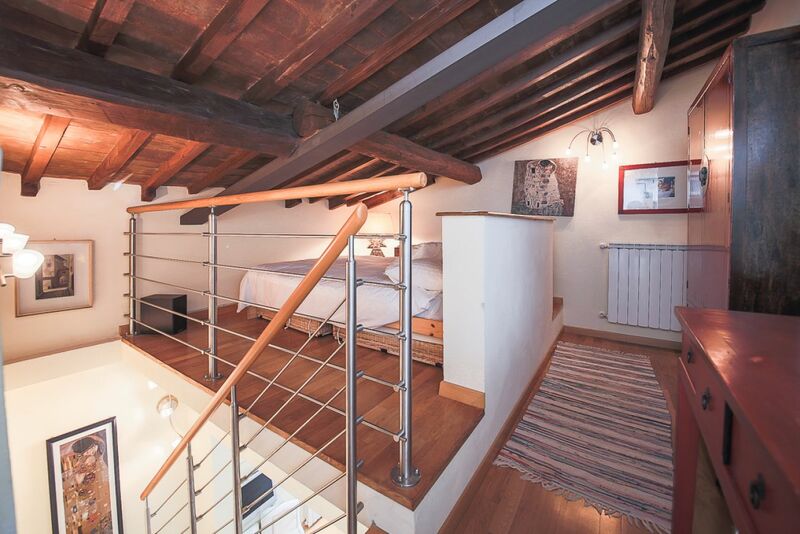 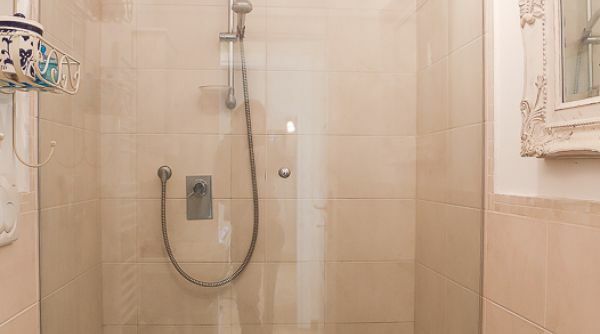 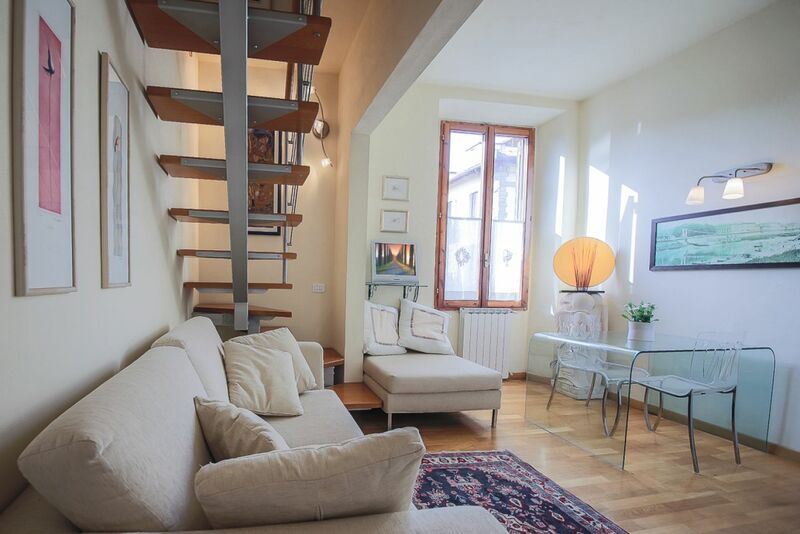 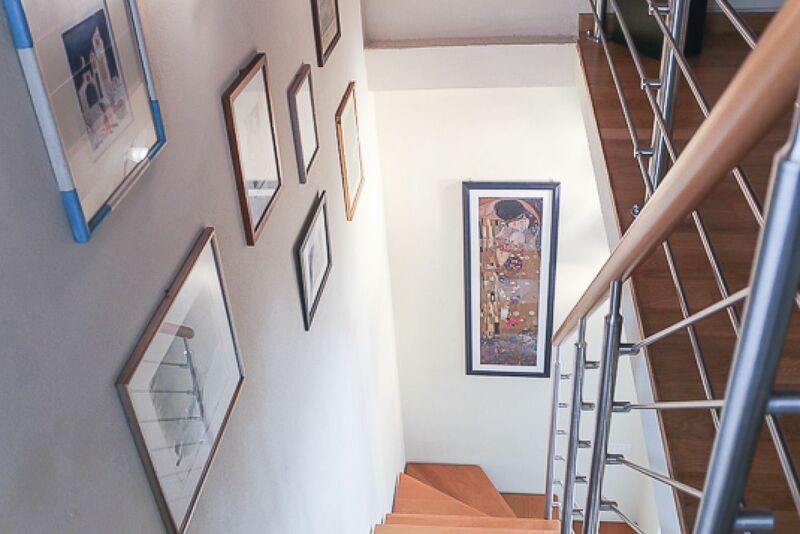 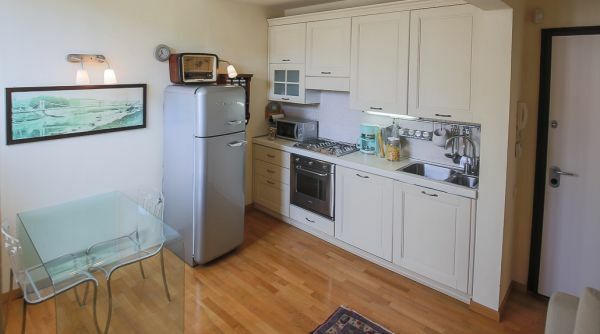 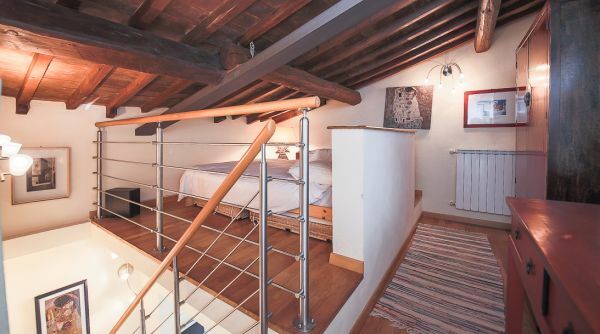 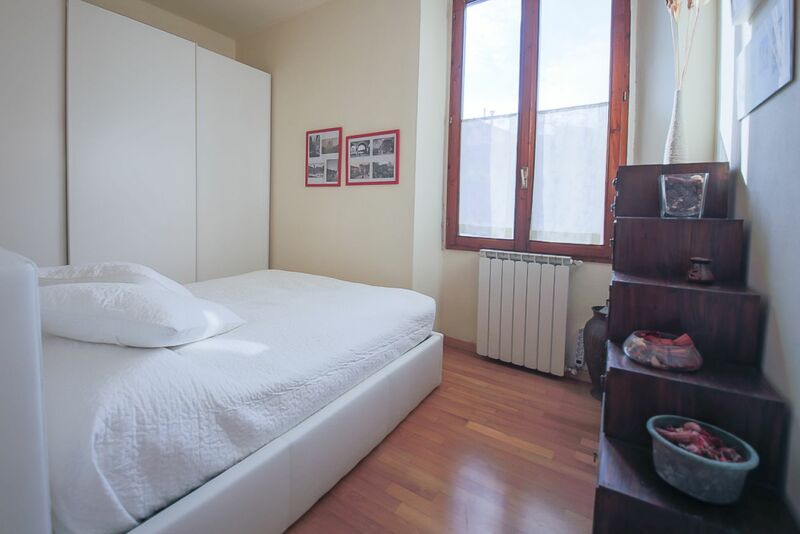 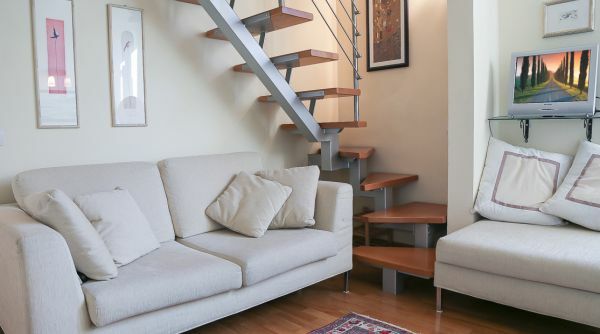 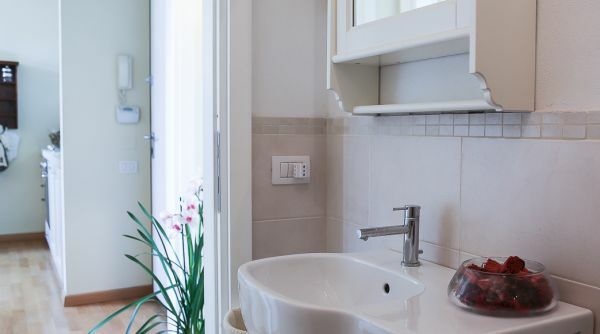 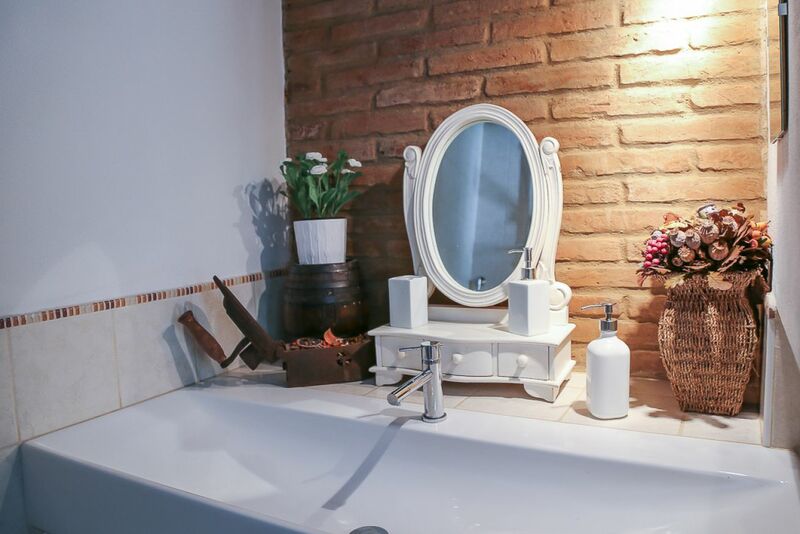 This recently renovated two bedroom, two bathroom apartment is located in the wonderful area of Florence called the "Oltrarno" or "across the river". 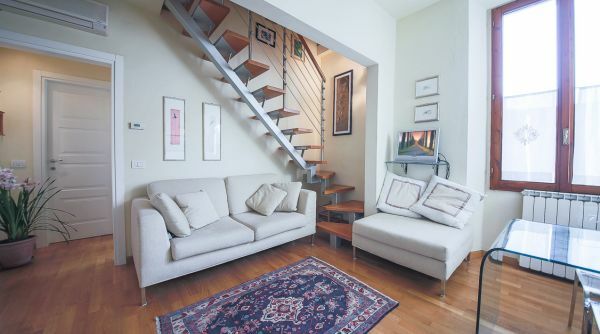 This neighborhood of the Old City is known for its artisan shops, boutique stores, bohemian cafes and restaurants. 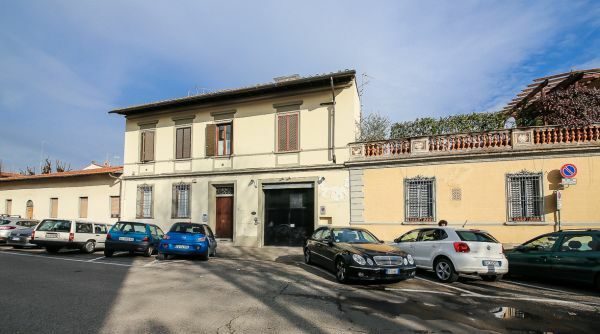 You are a short walk to the wonderful Boboli Gardens and Palazzo Pitti where the Medici Family once lived. 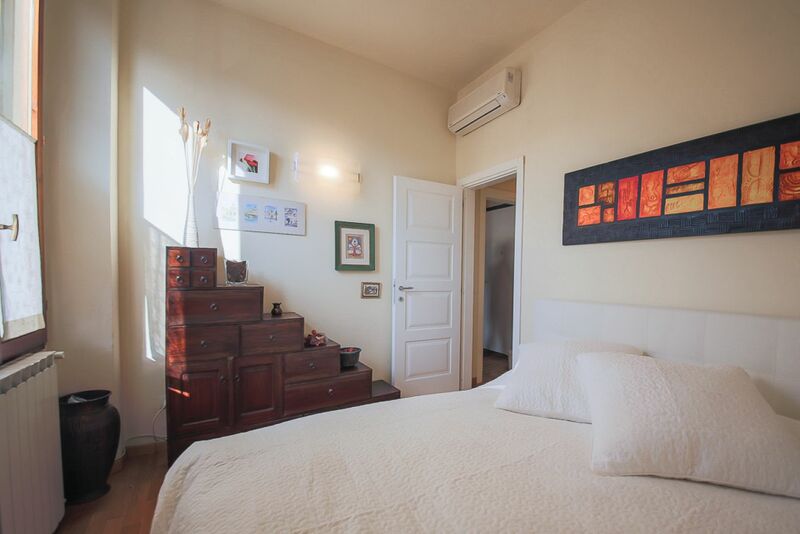 The apartment has two full bedrooms each with double beds. 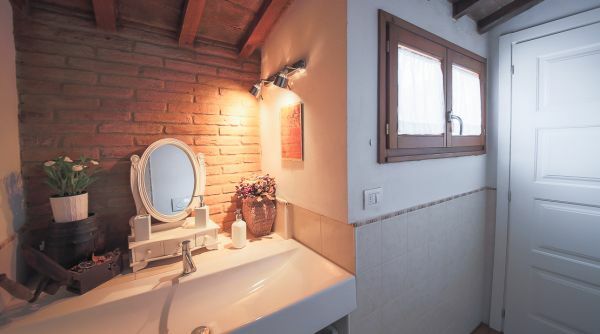 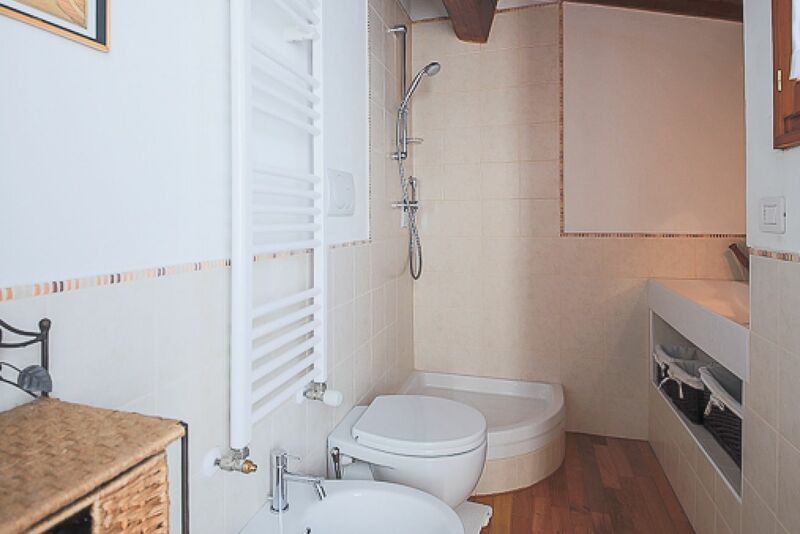 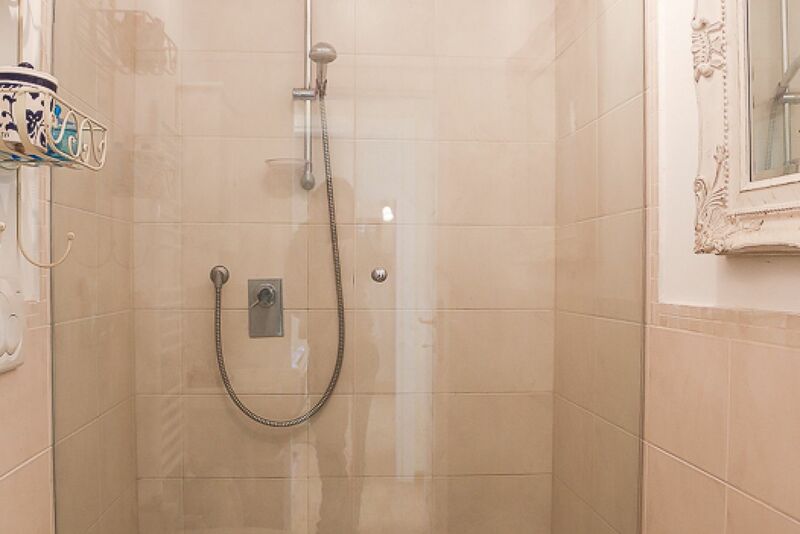 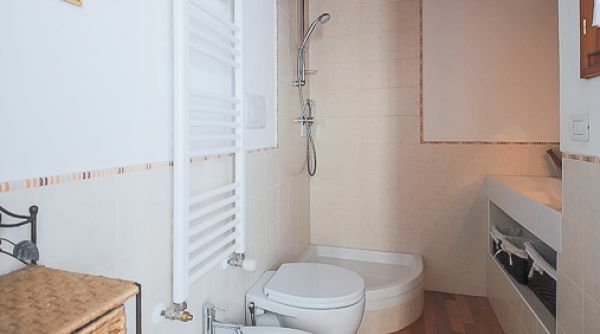 There is also two full bathrooms, both with showers. 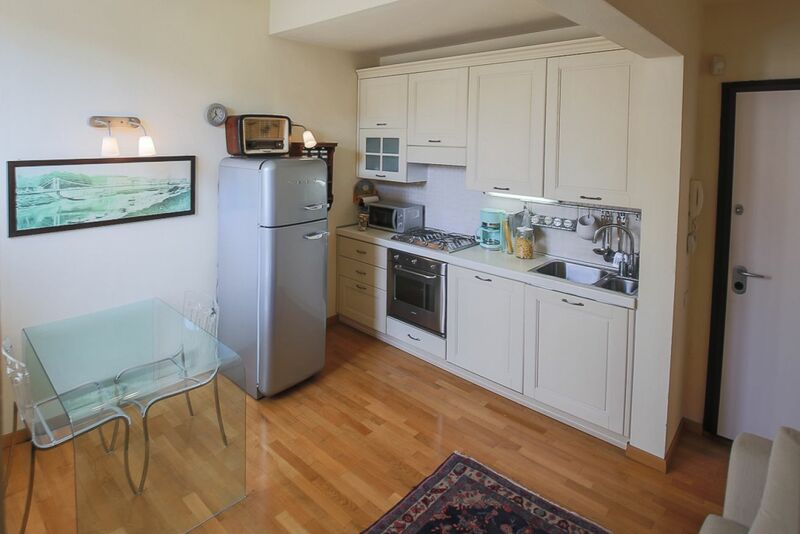 As you enter the apartment you come to the living room area which also serves as the dining and kitchen areas. 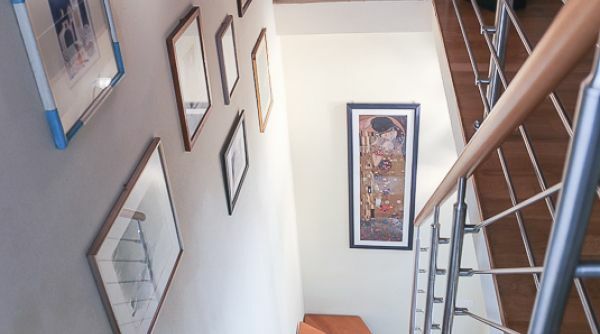 From the living room there are stairs that lead up to one of the bedrooms, which also has a large armoire for storage or clothing. 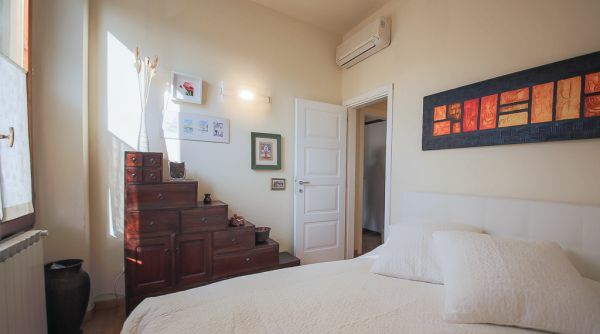 To the left of the entrance is a small hallway that takes you to the master bedroom & bathroom. 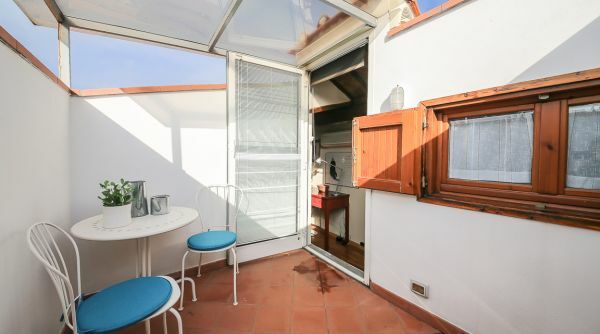 There is a lovely small patio where you can enjoy your morning coffee or dinner with friends. 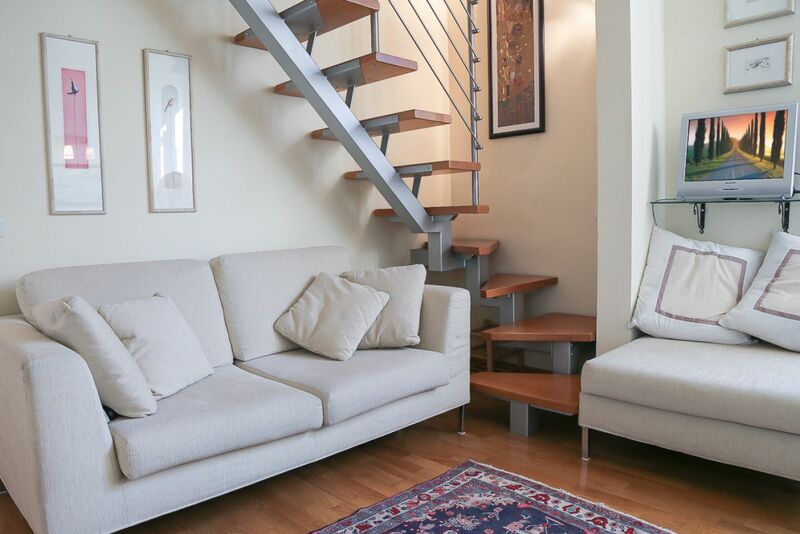 The apartment is located on the 1st floor (one up) without elevator and is suitable for singles, couples, families or groups of four people. 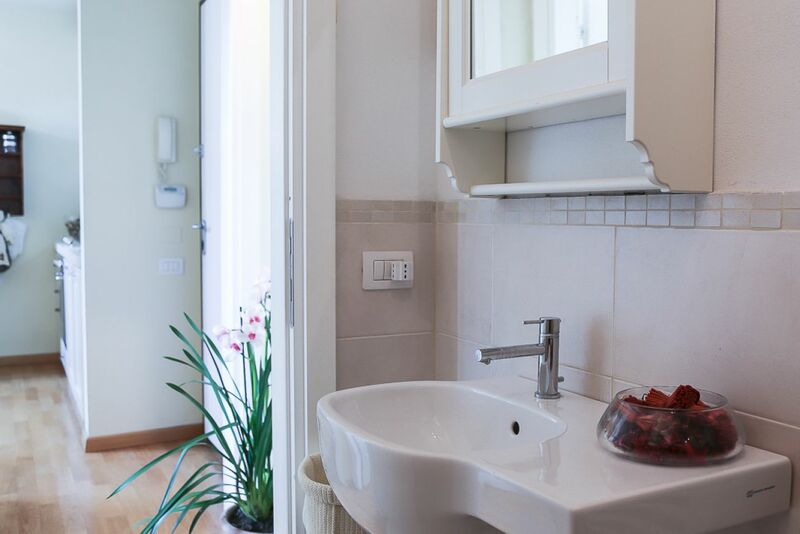 To host larger groups, it is located in the same building as our Della Bella One bedroom apartment, please inquire with our sales team for additional information.